"Of more than 100 trips this year, we've only seen the southern residents twice," says Vancouver whale watching operator. New whale watching rules came into effect Wednesday, but they may not do much to help the killer whales they aim to protect, according to some whale watchers and experts. "We are closing the barn door after this has all happened. This isn't going to help the southern residents at all," said Cedric Towers, the operator of Vancouver Whale Watch. That's because the critically endangered southern resident killer whales the new rules are designed to protect are rarely spotted anymore on whale watching trips, according to many in the industry. "Of more than 100 trips this year. We've only seen the southern residents twice ... because they are not here," said Towers. "They just don't come in anymore because they are off the West Coast feeding on salmon out there." he said. 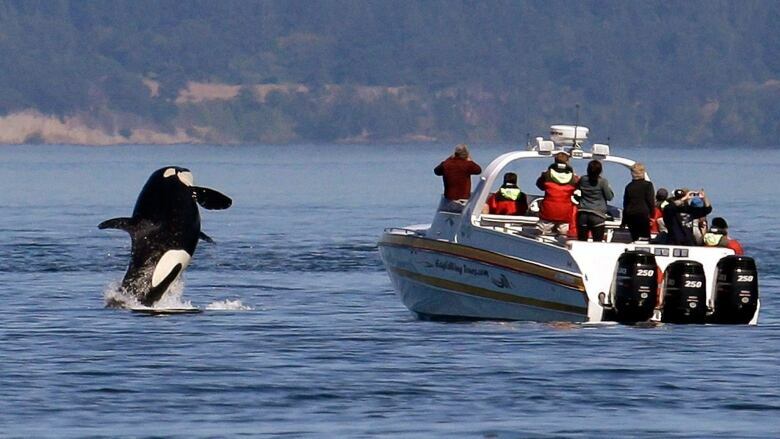 Jim Dale at Five Star Whale Watching in Victoria reports similar experiences. "Of 111 trips this year, we have only spotted southern residents nine times. They disappeared entirely here from April to June, and we just had the odd report of them offshore near Tofino," said Dale. 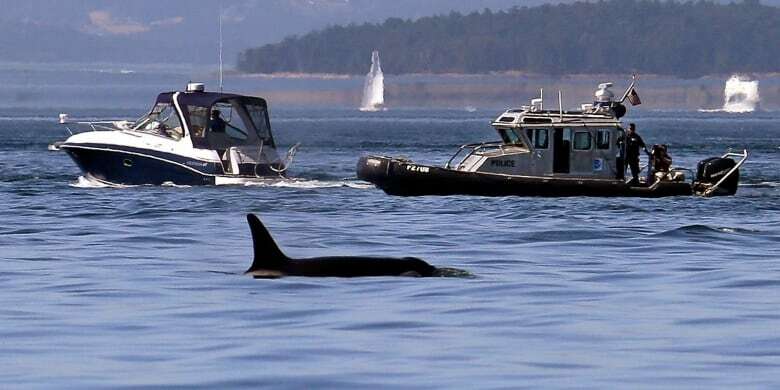 The new rules which came into effect Wednesday include fines of up to $500,000 for boats that fail to stay 200 metres away from killer whales on the West Coast. The previous voluntary guideline of 100 metres was not enforceable, officials noted. The stated intention is to reduce the impact of noise and vessels on the foraging of the critically endangered southern resident killer whale population, according to DFO officials. At last count, only 76 of the animals remain, down from 96 in 1993, and experts fear for the survival of the unique species. The federal government has already taken other measures to protect their main source of food — chinook salmon — by closing several areas around the Southern Gulf Islands, Juan De Fuca Strait and the mouth of the Fraser River entirely to salmon fishing. Towers and others in the industry agree recovery of the chinook salmon stocks is likely the best way to help the endangered whales survive. He says it should not apply to transient, northern and offshore killer whales that have larger healthy populations. McGillivray says the whale-watching businesses he represents know the difference between southern residents and other types of killer whales and know when to keep away. 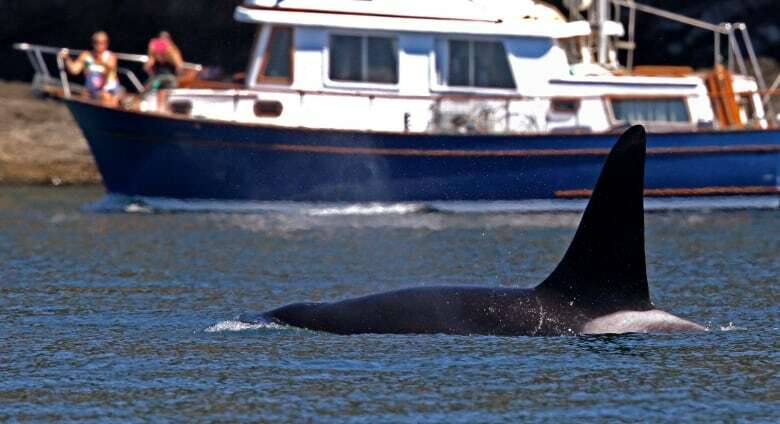 In recent years, the population of Biggs or transient killer whales, which feed on marine mammals has boomed to over 300 and they now are spotted every day around Southern Vancouver Island by the whale watching boats. "We are looking at transient killer whales, Biggs killer whales. They have moved right into this area," says Towers. But officials with Fisheries and Oceans Canada says a single regulation for all types of killer whales needs to be in place. "It is very challenging to be able to distinguish on the water if a whale is a transient or resident, so the 200-metre rule is applied to all killer whales to ensure protection for the southern resident population," said Adam Burns with the DFO. After the new regulations were unveiled on Wednesday, the Pacific Whale Watchers Association issued a statement saying they fully supported them and added calls for more controls over vessel speeds. Federal officials say the new rules are based on the "best available science." But that position is questioned by Andrew Trites, the head of the UBC's marine mammal research unit. "There is a perception that the presence of vessels disrupts the whales to feed and rest successfully ... so it makes sense to try something different to see if it makes a difference." "Unfortunately, there seems to be no attempt to measure or evaluate if it's going to be effective." Furthermore, he agrees with the whale watchers that applying the new rules to all killer whales might only have the effect of diminishing the whale watching experience without helping the endangered whales. "In terms of transient killer whales, their population is increasing and putting in a limit of 200 metres should not make any difference at at all. "No one has made any link between their growth and the presence of vessels," he noted, adding watching a whale from 200 metres is like trying to watch sports from a distance of two soccer fields away. "You'll will need binoculars to see anything." he said.